Hello beautiful Soul did you see this? There’s still time … it’s getting close to ending … right now, all our self-study courses are 50% and the eBooks are 15% … that ends April 20th. eBooks are 15% off too! Okay then, that’s it … don’t wait till the last minute and hope you get in under the wire because these 50% off prices end in 24 hours. Friday, April 20th and everything goes back up to full-price. If you’ve been wanting to work with me or sign-up for one of our exclusive workshops, Intensives or virtual retreats but the budget’s been like — yeah I don’t think so — here’s your chance to SAVE BIG. OH and if you missed your chance to get one of the eBooks they’re 15% off too! Okay then, that’s it … don’t wait till the last minute and hope you get in under the wire because these 50& prices will end Friday, April 20th and everything goes back up to full-price. [last chance] 75% off Master Angel Class Series ends today! If not, please don’t let this opportunity go by … get yours TODAY because tomorrow it will cost you more than double … the price goes up from $11 back up to $47. Then you do need the “Magnetize Your Dreams” Master Angel Class Series. Here’s the thing, you really ought to take a few moments right now because the $11 intro price goes away tonight… that’s just a few hours from now. Then, the price goes back up to $47 and you’ll miss out on the 75% savings. Are you frustrated by the lack of in-depth information about how Angels can help you with your Spiritual Path? After this, this Master Angel Class Series will be $47. But, for a limited time, you can get this series for just $11. … I want you to have this Master Angel Class Series because even if you don’t think or feel you’ll need them all today, believe me you’ll wish you had taken me up on this special savings. The more we are able to connect with Angels who are here to help us live the kind of life we know is possible, the easier it is going to be to fulfill our purpose, start or grow our Spiritual business helping others achieve their dreams and goals. So please … take advantage before the price goes from $11 up to $47. … did you get yours? If you did, thank you! If not … please don’t wait, get yours TODAY because tomorrow the price will be MUCH higher. Here’s the thing <firstname>, you really need to do it NOW because the $11 intro price goes away tonight. That’s over 75% off the regular price of $47. I do hope you’re going to take advantage of this very generous offer. [Angels of Manifestation and Prosperity] for only $11? We’ll continue to struggle trying to figure out how to conquer Ego-chitter chatter and fear and doubt so we can balance our energy and let go of the past. 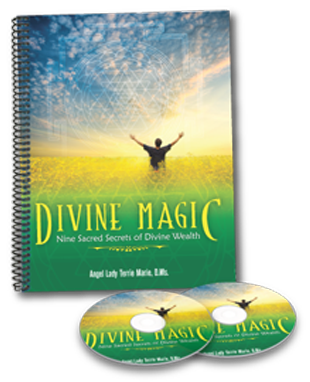 #2 – discover which 6 Angels are a part of this Manifest with Angels Self-Study Course, where you’ll learn exactly how they will help you remove negative money energy blocks so you can manifest more of what you want and so much less of what you don’t for only $11. Another truth is … many of us already know HOW to manifest and connect with a handful of Angels to help us with healing, forgiveness and protection. It’s also true that my life and work are very blessed to be connected to and work with Angels every day. This is one way to help you get faster results in less time. … or you can get this 3 Module Manifest with Angels Self-Study Course right now for 75% off! 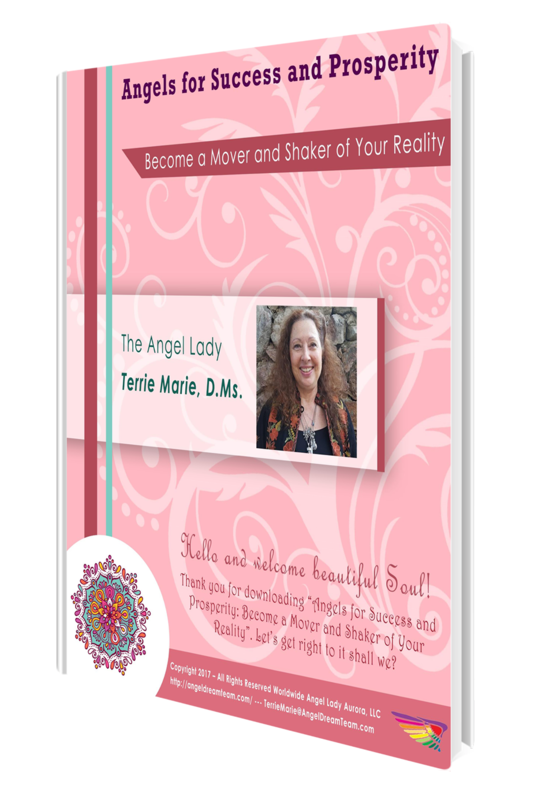 Are you frustrated by the lack of in-depth, step-by-step information about how Angels can help you manifest more of what you want and so much less of what you don’t? *Module One: 4 Step System to Manifesting More Money: Even if You Are Working for Someone Else OR Running Your Own Business! Normally this 3 Module Self-Study Course is $47, but for a very limited time you can get all 3 Modules for just $11. That’s a savings of over 75%! … I want you to have this Manifest with Angels Self-Study Course because even if you don’t think you need a complete step-by-step manifestation system today, believe me you’ll wish you took me up on this special offer. The more we are able to conquer fear and doubt and balance our energy, the easier it is to manifest prosperity and abundance which helps us fulfill our purpose of making a difference. So please take advantage before the price goes up to the regular price of $47. … you’ll be glad you did. New HomeStudy Courses and Audio Books from the Angel Lady! It’s Terrie Marie and I am very excited to share this news with you! There are now 6 HomeStudy Courses and 3 Audio Books! In celebration of being able now offer you, no matter where you call home, you can start where you are with my HomeStudy Courses! Each HomeStudy Course is available in Digital and Shippable Versions! You receive all the information whether you choose the Digital or Shippable Version! Here is a list of my new HomeStudy Courses. Click on the links beside each course title for all the details! *Connecting With Angels click here 20% off! *Protect You and Your Loved Ones from Negative Energy click here 20% off! *Eliminate 3 Hidden Barriers to Attracting Money click here 20% off! *Crystal Healing 101 click here 20% off! *Align 7 Major Chakra Energy Centers click here 20% off! *You, Your Energy and Money click here 20% off! Element Angels click here 20% off! Rainbow Angels click here 20% off! Spiritual Expansion click here 20% off! During the next few days, until September 30th all my HomeStudy Courses and the 3 Audio Books are available at a 20% savings! Yes, all 6 HomeStudy Courses too! Please share this email with your friends and family, everyone who is a Spiritual Seeker and a Light-Worker. Help me fulfill my Life’s Purpose which is to help you fulfill your Life’s Purpose so that you can help others to fulfill their Life’s Purpose, become empowered, develop your Intuitive Gifts and teach others. Don’t miss out on this opportunity to save, expand your awareness and begin moving forward today! Ps….my 20% savings on all HomeStudy Courses and Audio Books only lasts for a few days until September 30th!